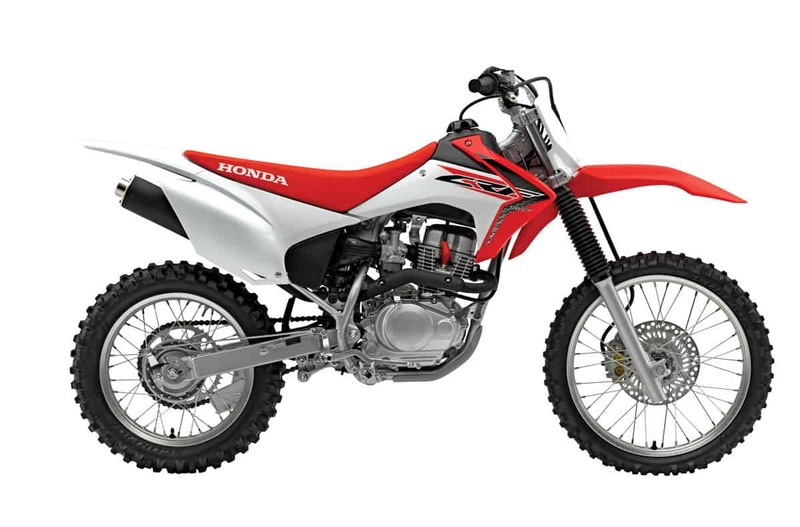 When you’re big enough for a full-size motorcycle but aren’t interested in competition, Honda offers the CRF230F as a simple, reliable dirt bike that everyone can ride. The motor is carbureted and air-cooled, and it has a manual clutch and a six-speed gearbox with electric start. The seat height is aimed at anyone over 5 feet tall, and the 230 is off-road certified. Yamaha’s 230 is almost identical to the Honda 230 in specifications and features. It has an air-cooled, two-valve motor with a carburetor, a six-speed gearbox and electric start without a kick-starter. Up front it has a disc brake, and the rear is a drum. It has full-size wheels, so it’s aimed at the young adult and is green-sticker-legal in the state of California. 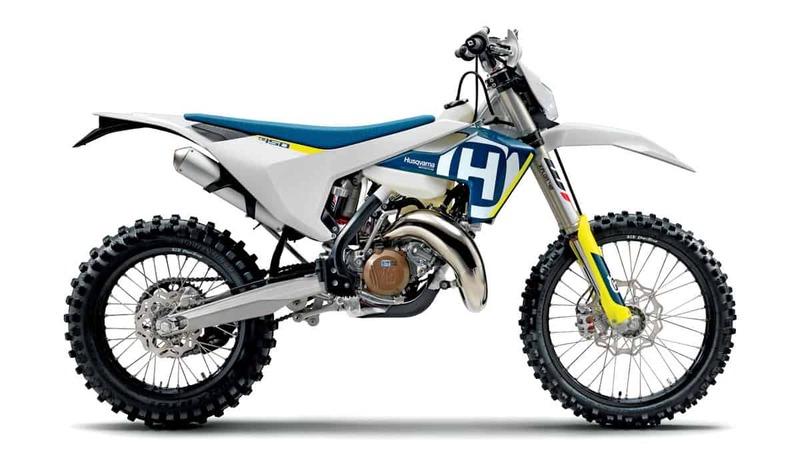 For its smallest dedicated off-road bike, Husqvarna started with the 125 MX platform, gave it a larger bore to bring it to 144cc, and then added electric start. The fork is the WP Xplor 48, which has an open cartridge and coil springs. This bike will use all-new Magura brakes, in addition to the Magura master cylinder for the hydraulic clutch. There’s a handlebar-mounted map switch to alter the power delivery. Fans of the old KTM 200XC-W are slowly warming up to the 150XC-W, which was all new two years ago. It has electric start with a kick-start lever for backup and a six-speed, wide-ratio gearbox. This bike uses PDS rear suspension without linkage. It also has the Xplor 48 fork with coil springs. It doesn’t have the torque of the old 200, but has more peak power and is much, much lighter. There are two very different 150s in the Honda model line. The one with the “F” suffix is shown here, and it’s designed for family use, whereas the “R” is for racing. The F has electric start, an air-cooled, two-valve motor with a carburetor, a front disc brake and a 17-inch rear wheel with a 19-incher in front. It’s aimed at teens and young adults. These are exotic race bikes that are handmade in Italy in very limited quantities. 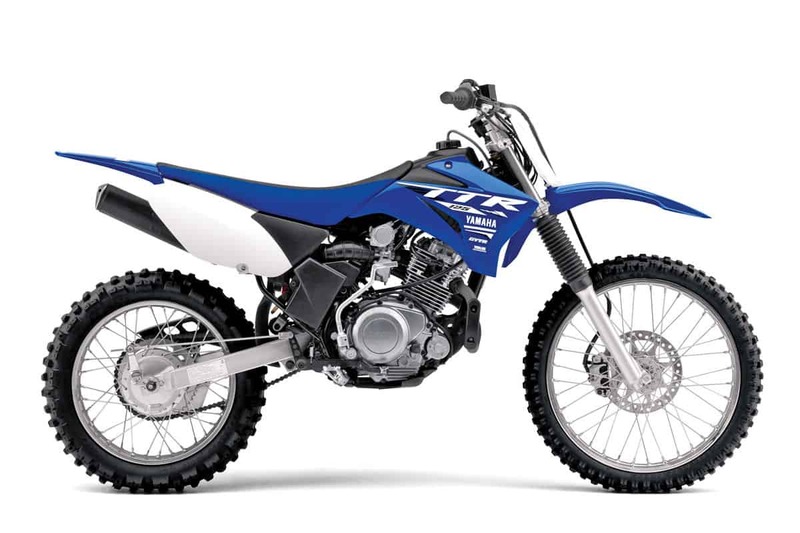 The TM 125 and 144 have different bores and strokes, but have the same hand-welded aluminum frame, KYB fork and TM-made rear shock. The power valve is electronic. For 2018, TM engineers have shaved more weight off the frame and made suspension changes. 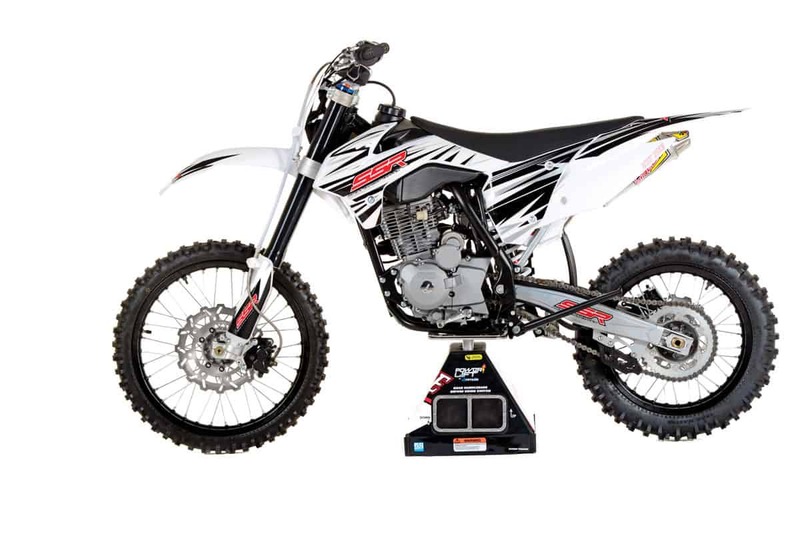 Beta surprised us by developing a completely new motor and presenting the world with a 125 two-stroke off-road bike for 2018. The 125RR has a six-speed gearbox and a progressive mechanical power valve, and the head is designed to accept different domes, so you can alter the power delivery. It has oil injection, and there will be an electric-starter kit available. This is an all-new bike for 2018. 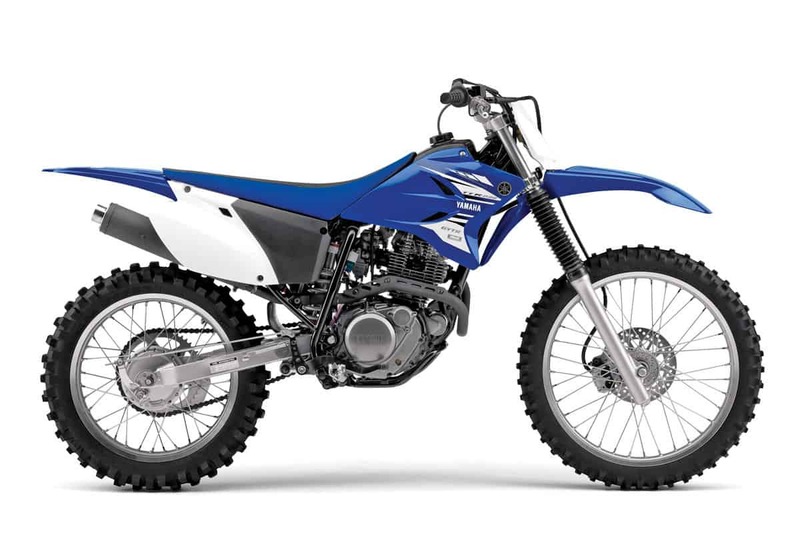 Sherco is investing in the 125 two-stroke market with an electric-start motor that uses an electronic power valve. 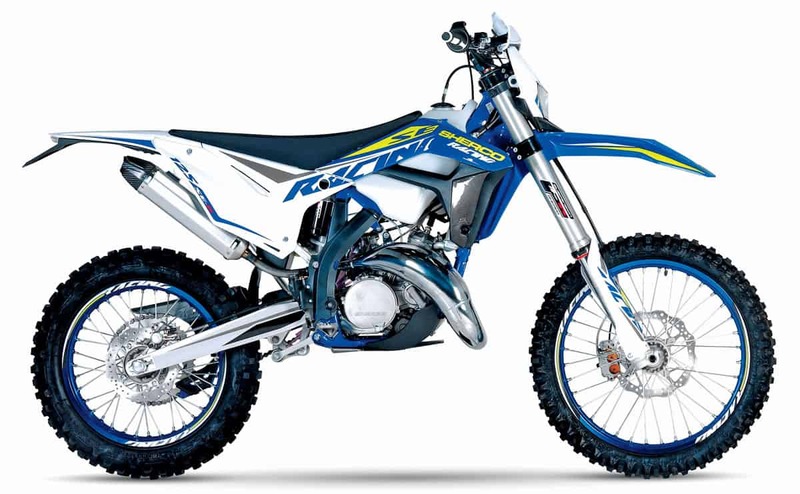 The bike is a dedicated off-road bike, but it has a map switch that boosts power by 3 horsepower when shifted to the aggressive mode. It uses a WP Xplor coil spring fork and a WP shock with linkage. Maybe your kid will outgrow a 150 in a week, maybe not. Either way, the SSR allows you to fill the need without a huge investment. 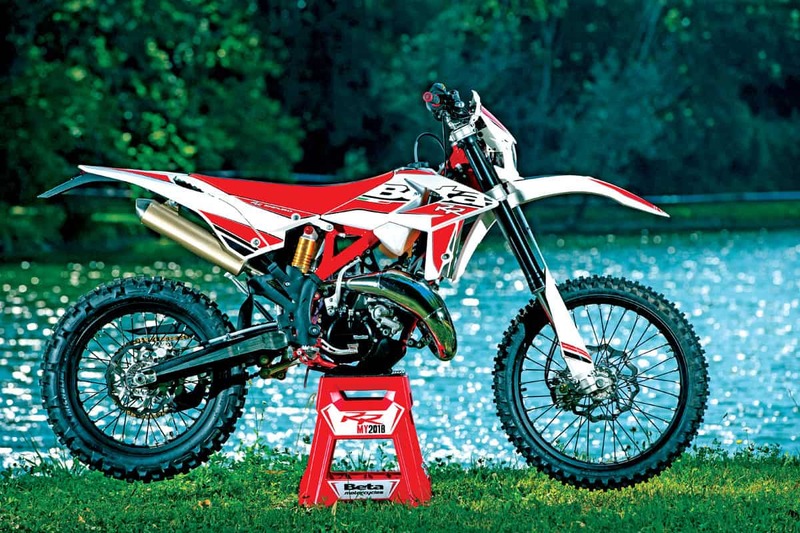 Both the SR189 and SR150 are aimed at the Honda CRF150F customer and offer more features for much less. SSR sourced most parts in mainland China. They have backup kick-starters, in addition to electric start, a rear disc brake and a 30-day warranty. 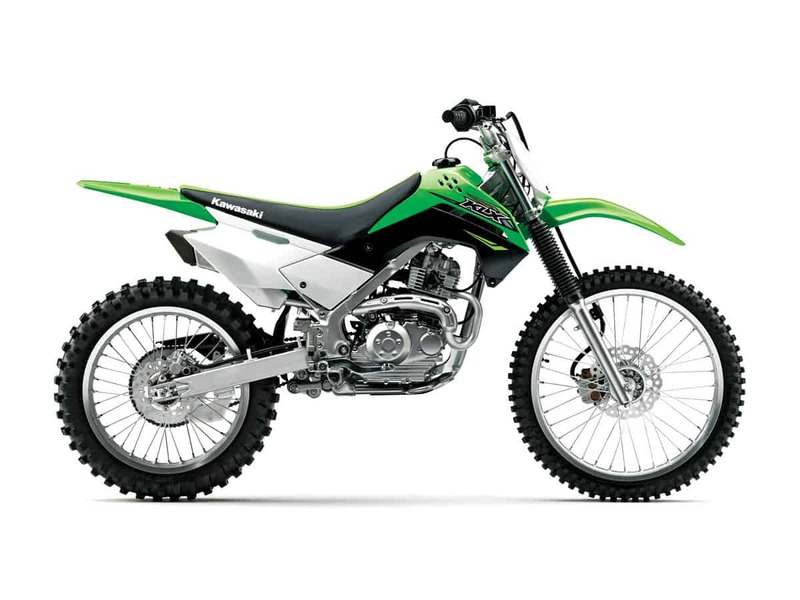 Kawasaki took its KLX 140 and upsized it with a slightly larger frame and full-size wheels. The result is a bike that fits full-grown riders but has the mild manners of an entry-level play bike. 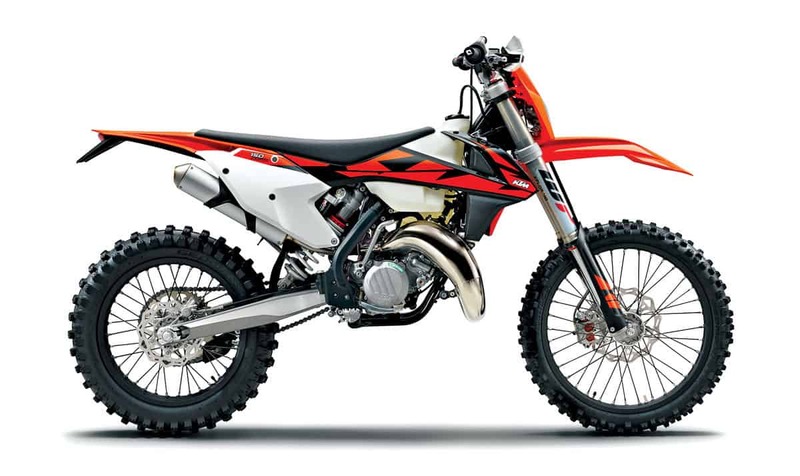 The motor is the same air-cooled, carbureted, electric-start five-speed as the smaller KLX140, but the seat height is 33.9 inches—almost 3 inches more than the standard version. 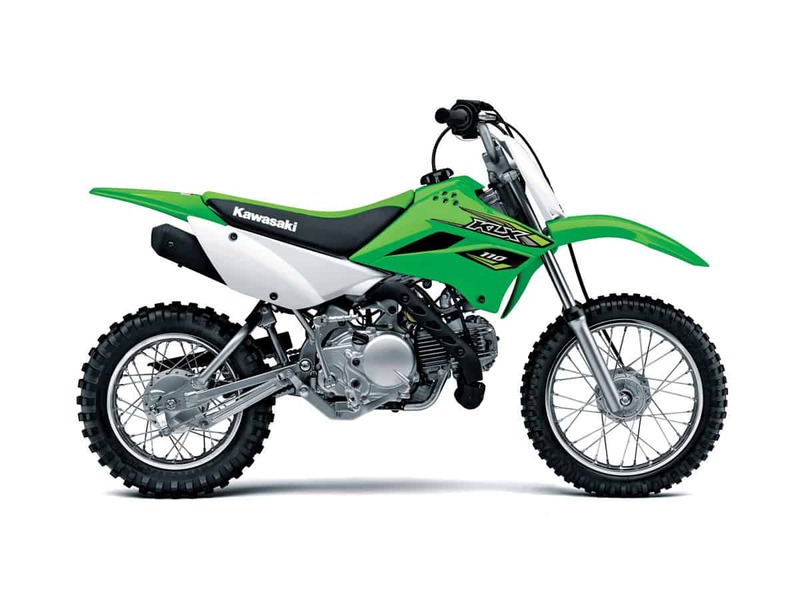 Kawasaki is getting the most out of the KLX140 platform. The standard model has a 14-inch rear wheel and a 17-inch front, whereas the L model has a 16-inch rear and a 19-inch front. Otherwise, these two models share the same engine and chassis. It’s an electric-start, air-cooled two-valver with a manual clutch and a five-speed gearbox. This is the bike that more or less inherited the legacy of the original Honda XR75 from the ’70s. Today, it has an electric-start motor with a kick-start lever for backup, a manual clutch with a four-speed gearbox and a key that you can take away in a homework crisis. The standard version has a 14-/17-inch wheel combo and the Big Wheel is a 16/19. 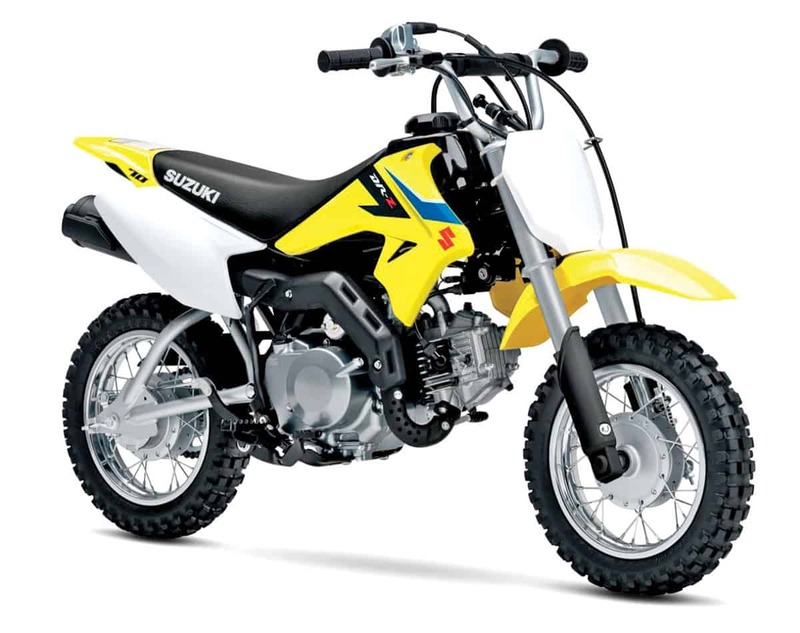 Suzuki gave the DR-Z125 some mild restyling for 2018, but it remains essentially the same bike that it has been for almost two decades. The air-cooled, two-valve, five-speed motor does not offer electric start but is one of the few bikes in this category still manufactured in Japan. It’s offered only in a big-wheel configuration, with a 16-inch rear wheel and a 19-inch front. The Yamaha was the first bike in this category to offer electric start, although the feature is now widespread. 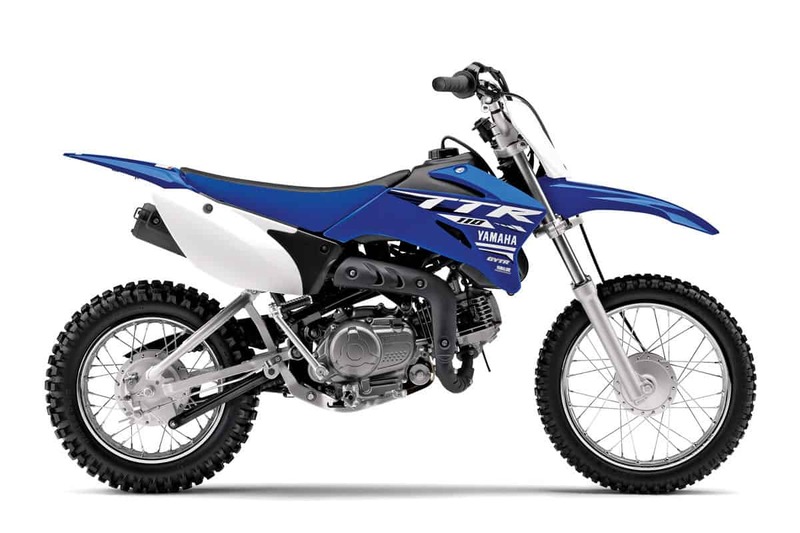 The TT-R remains a viable alternative to the Kawasaki KLX140L and the Honda CRF125F Big Wheels. The Yamaha has a kick-start lever in addition to the button, a five-speed gearbox and a manual clutch. It’s only offered with 16/19-inch wheels. 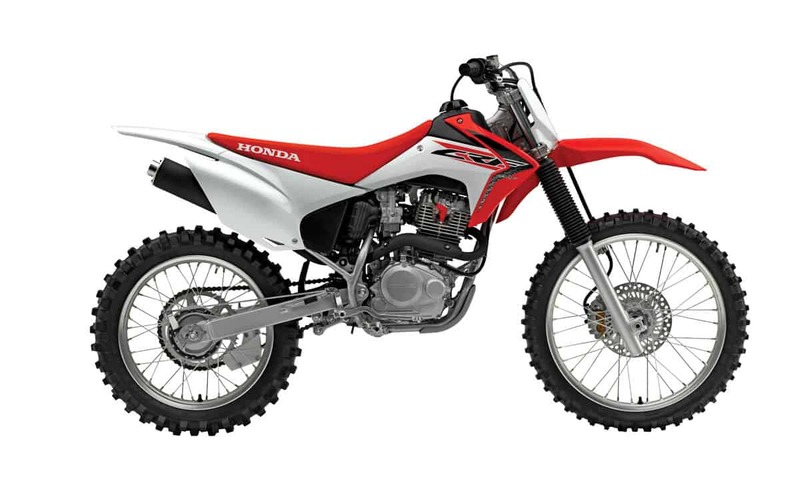 Introduced in 2013, the Honda CRF110F is the newest bike in the 110 category. These are bikes aimed at young riders who still haven’t mastered a manual clutch. 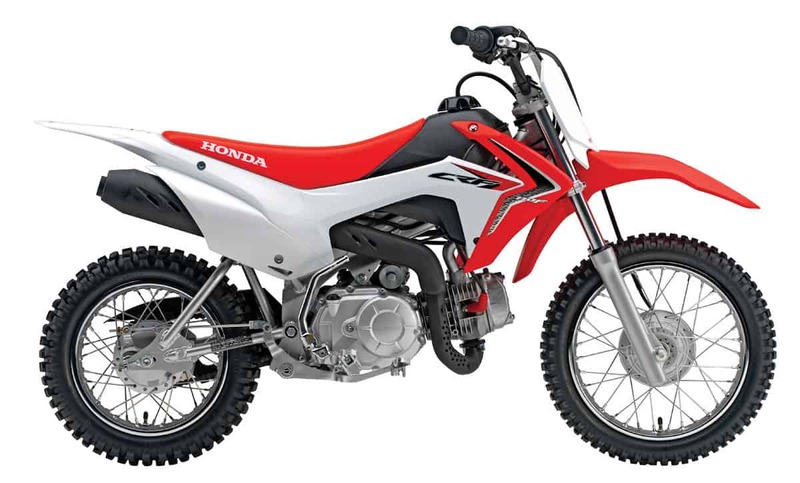 The CRF110F has a four-speed gearbox and an electric starter in addition to a kick-start lever. The rear wheel is 12 inches and the front is 14, bringing the seat height down to about 26 inches. 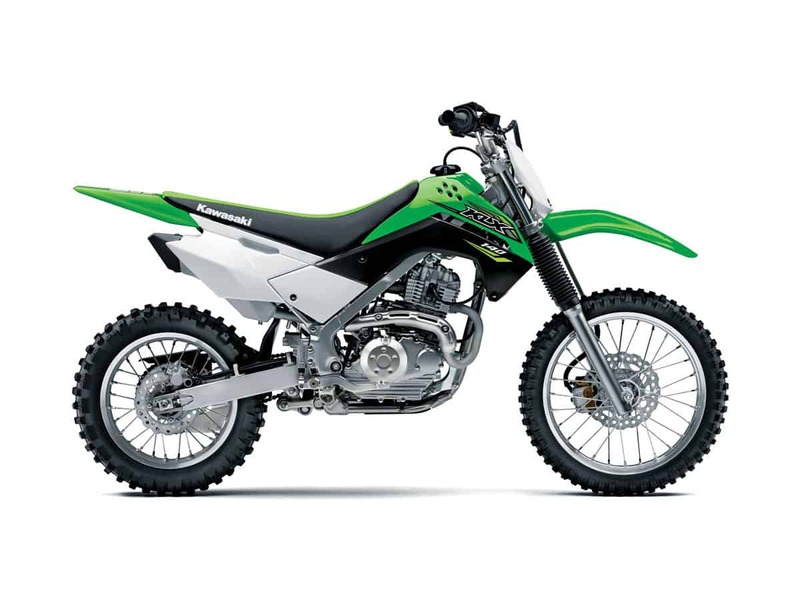 The Kawasaki KLX110 was a big part of the pit-bike explosion a few years ago, and now the bike is offered in two versions. The standard model is for true beginners, with an automatic clutch and a seat height of 26.8 inches. The L model has more suspension travel, a taller seat height and a manual clutch. Both have 12-/14-inch wheel sizes. The Yamaha TT-R110E is a bit smaller than most of the other 110s, but still has electric start with a kick-starter for backup, an automatic clutch and a four-speed gearbox. In styling, the Yamaha has a distinct big-bike look. The rear wheel is 12 inches, and the front is a 14, similar to most bikes in this class. 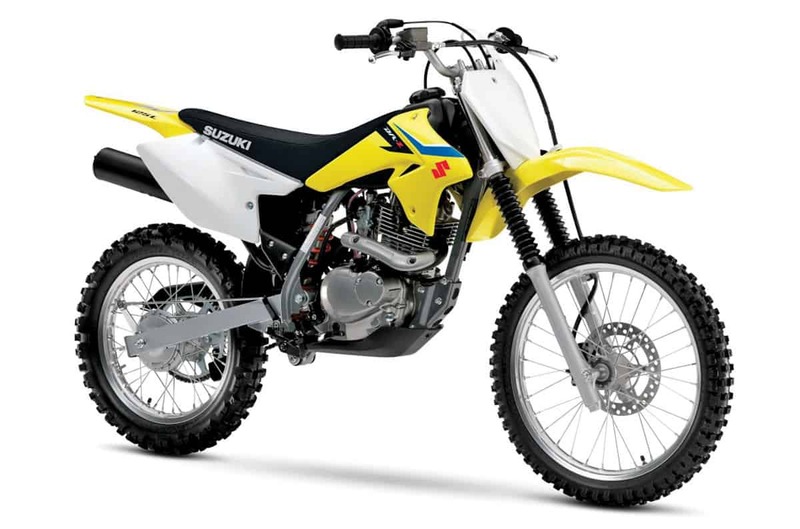 Suzuki splits the difference between a 110 and a 50 in both displacement and price with the DR-Z70. In size, it more closely falls into the 50 category, with its 10-inch wheels and 22-inch seat height. The DR-Z got electric start a few years back and still has an automatic clutch with a manual three-speed gearbox. 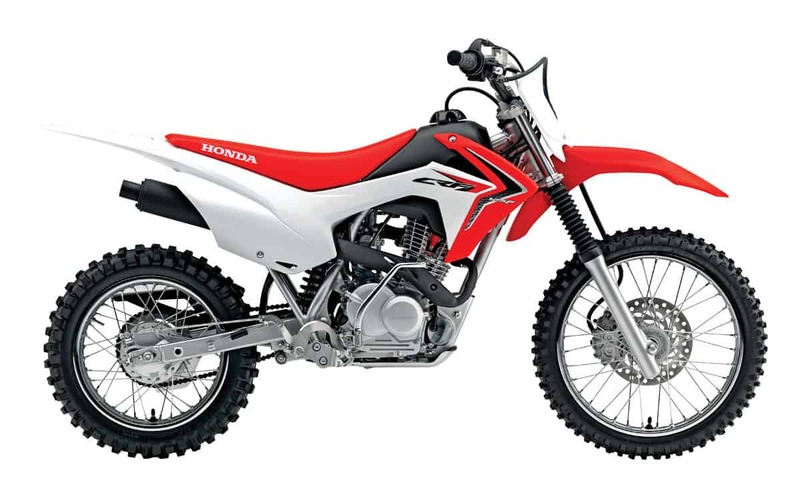 If imitation is the sincerest form of flattery, the Honda CRF50F is the most flattered motorcycle of all time, with copies made in dozens of other factories around the world. The original is still made in Japan. It has a three-speed manual gearbox with an automatic clutch. The wheels are 10 inches, and the seat height comes up to the knees of the average adult. 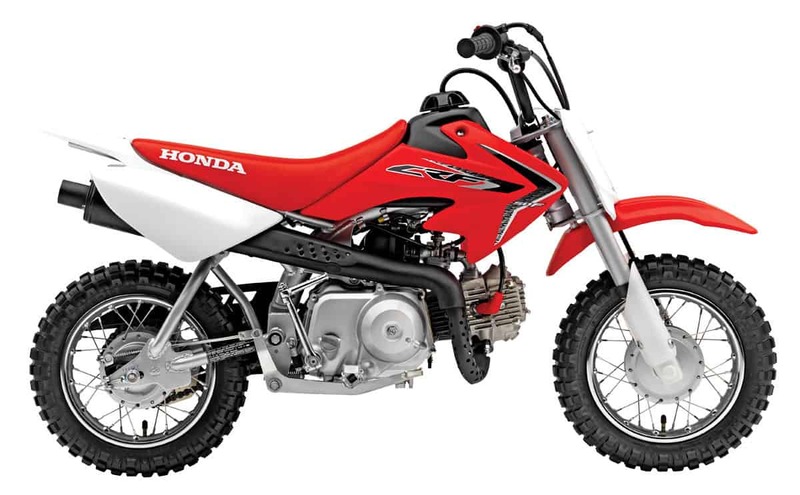 The Honda CRF50F has a kick-start-only motor. 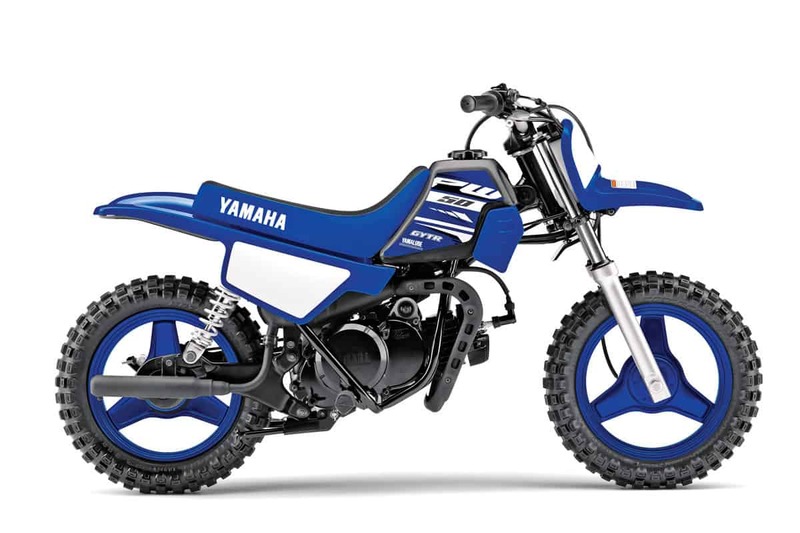 Yamaha gave its 50 an electric start, which is good as long as you keep the key hidden if your kid is getting poor grades. The TT-R50E is otherwise similar to the Honda 50, with 10-inch wheels and a 21.9-inch seat height. The gearbox is a three-speed, and the clutch is automatic. It has an adjustable throttle stop that allows Mom and Dad to regulate the output. This bike hasn’t changed in 30 years because it’s ideal for young, first-time riders as is. The PW50 is the bike that taught most of today’s racers how to ride. It even taught many of yesterday’s racers how to ride. The drive shaft, automatic clutch and adjustable throttle stop are key features. Its only real flaw is the lack of electric start. 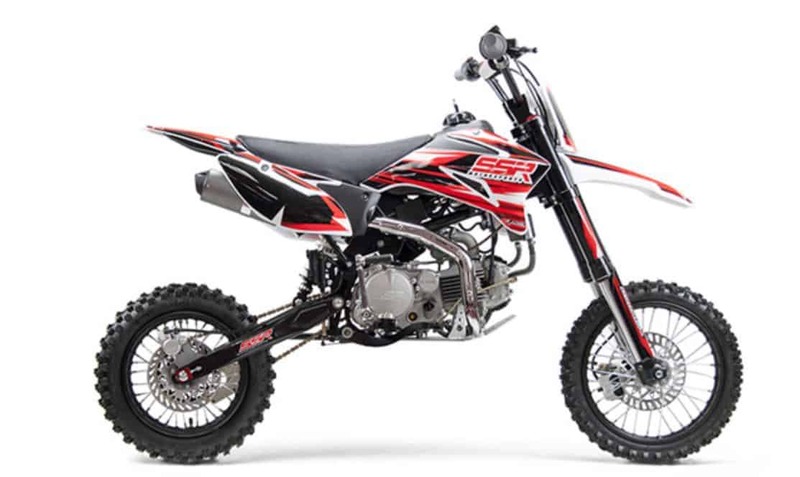 SSR makes 14 gasoline-powered minibikes, ranging from the decked-out SR170TX with its 15.8-horsepower five-speed manual clutch motor to the little SX50R with its two-stroke fully automatic engine. All SSR minis have full suspension and disc brakes, front and rear. All are made in Asia and are priced very affordably. 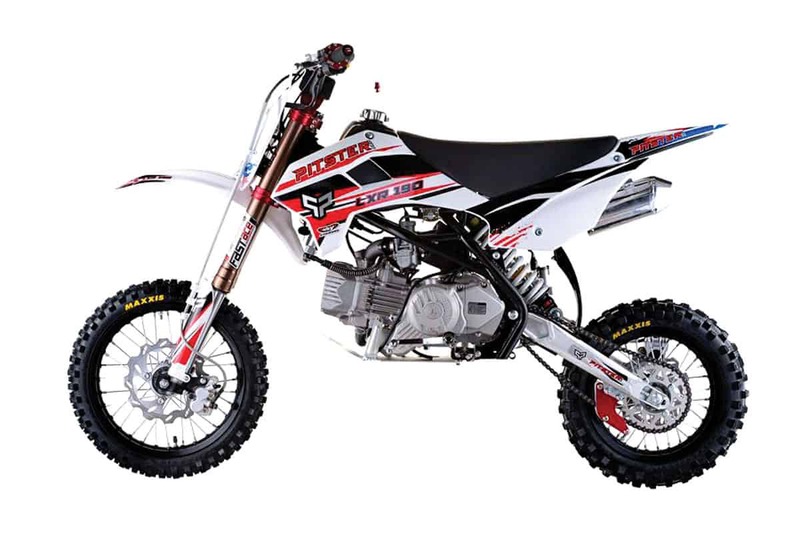 The top of the Pitster Pro Pit bike line is the LXR190F, which comes pre-customized with heavy-duty suspension and lots of bling. The motor is an electric-start five-speed with a manual clutch. Pitster Pro makes 13 minis, including some that are dead ringers for the classic Hondas of the early ’70s, like the CT70 and the QA50. 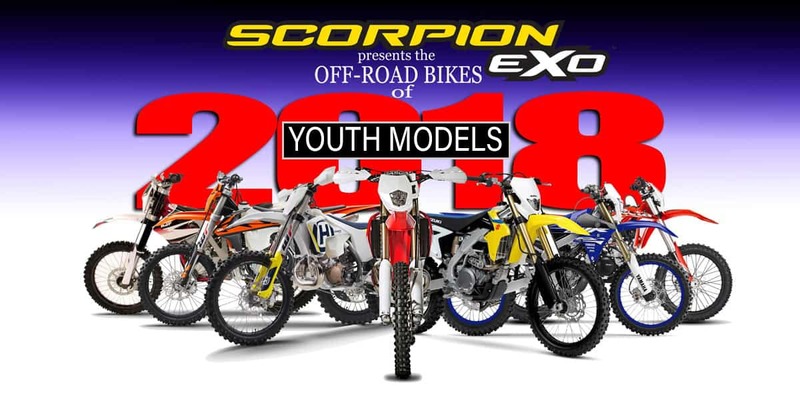 For competition youth bikes, go to Dirt Bike 2018 MX Buyer’s Guide. 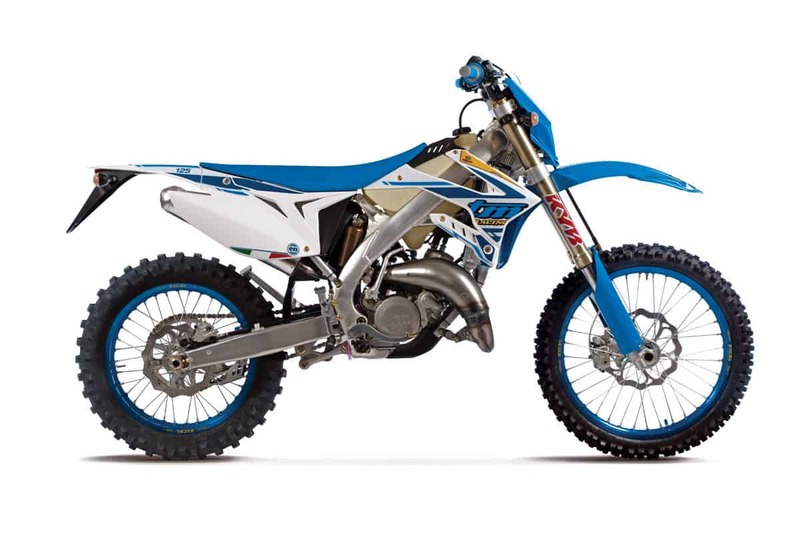 For adult off-road bikes, go to the Dirt Bike 2018 Off-road Buyer’s Guide.